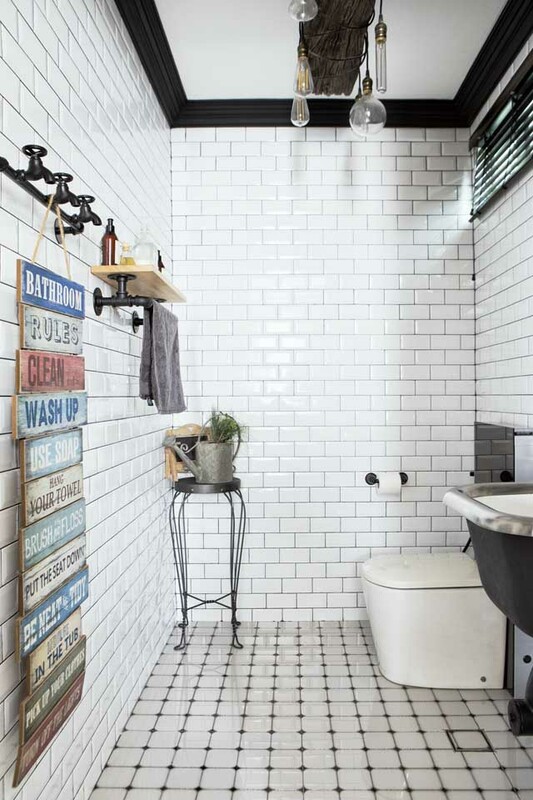 If you’ve been thinking of renovating your bathroom, go beyond the usual tricks of just changing the ceramic tiles. 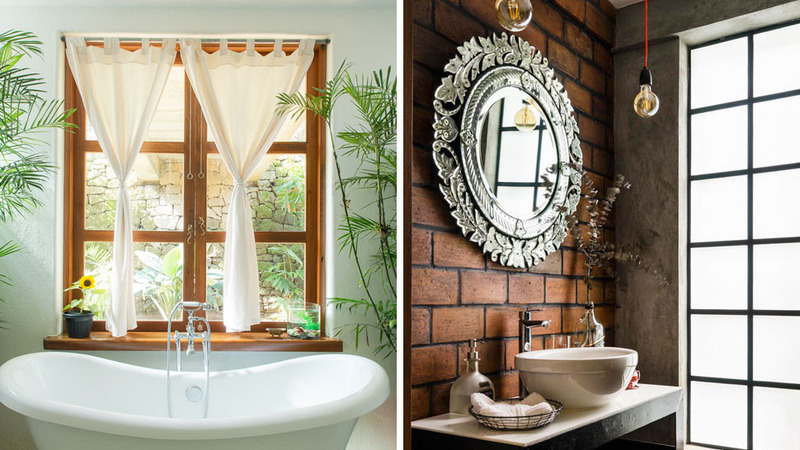 These days—when the bathroom is considered a sanctuary from our hectic life—it can now be designed in myriad ways and styles. Aside from changing the bathroom fixtures and fittings, you can tweak the wall and floor finishes, layout (as long as you work with a good plumber), and even add décor. Here are ten design ideas you might want to apply to the smallest room in your home, plus links to where you can buy similar fixtures and finishes. 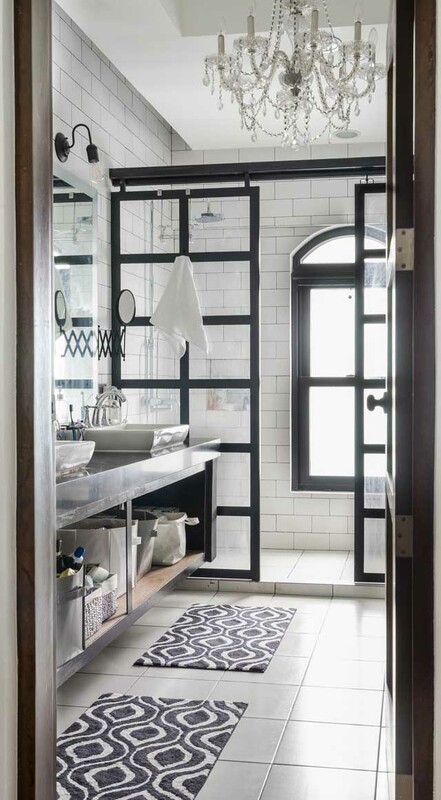 The bathroom in this Manhattan-inspired home masterfully combines raw-edged industrial style with glamorous touches. 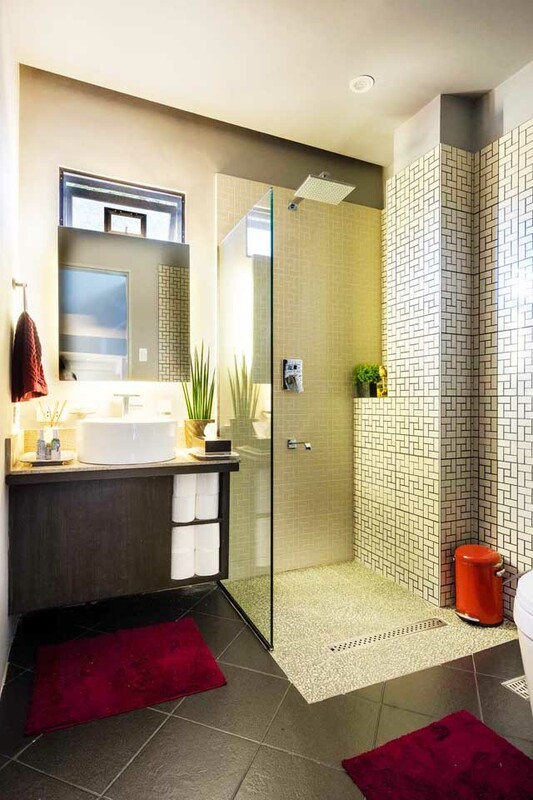 Here, subway tiles and a black-metal-framed shower enclosure are paired with a crystal chandelier and patterned rugs. You can buy chandeliers in different sizes at CW Home Depot. In the same Manhattan-inspired family home, in one of the bathrooms, a dainty Venetian mirror is juxtaposed against rough brick and industrial-grade rubber tiles. You can get a similar round washbasin like this at Homestore. Interior designer Van Acuña-Solaña’s trademark style is a mix of traditional motifs and subtle pastel palettes. This is evident in this wainscoted powder room, replete with silver mirror and old-fashioned lavatory. You can find a pedestal sink like this from the Kohler collection at Sanitec. 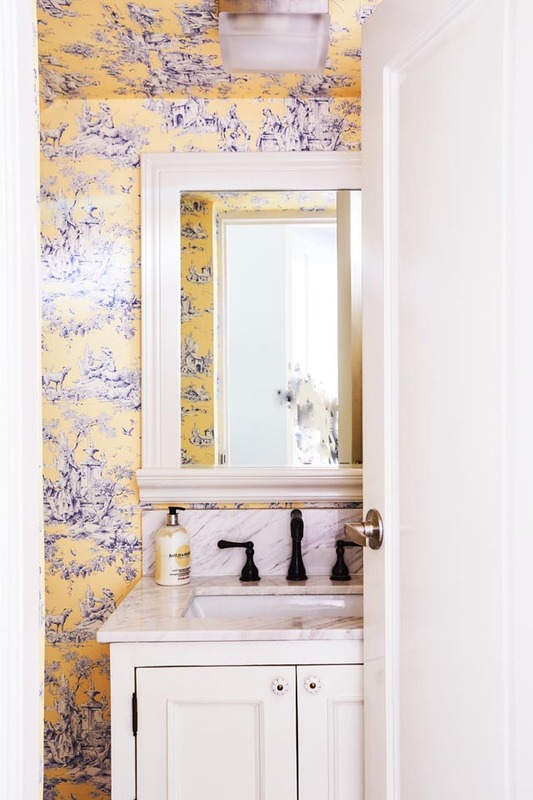 A French-style country home isn’t complete without toile de jouy-fabric, and interior designer Van Acuña-Solaña adds a twist to this by using the pattern in floor-to-ceiling wallpaper in the bathroom. The exuberant print and color liven up the small space. 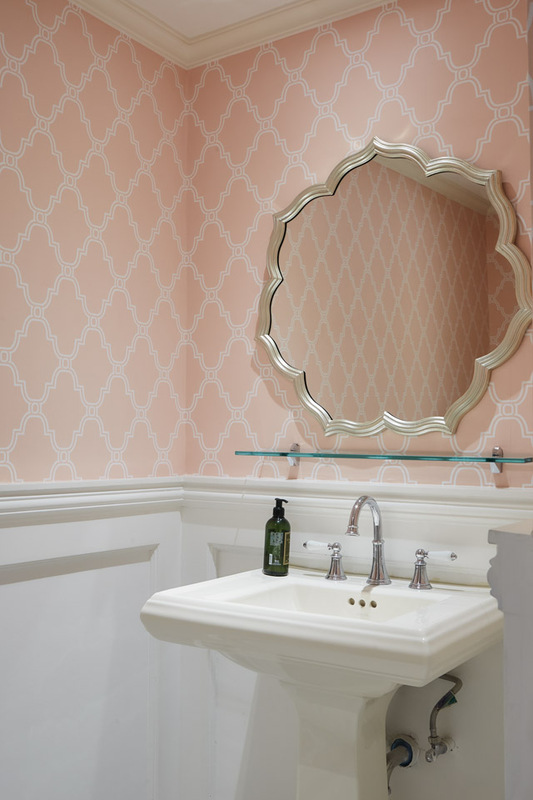 You can get toile de jouy wallpaper locally at Wallcrown. 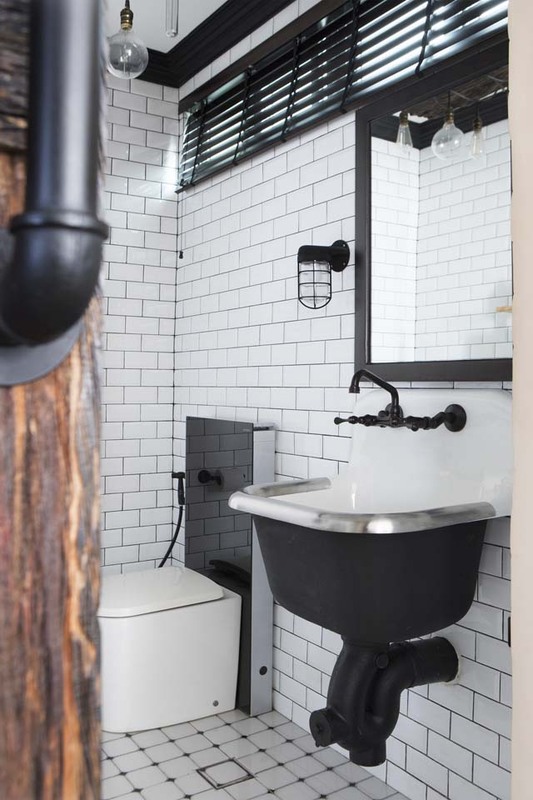 Jenny Sohu gave the powder room of this family home a true-blue industrial look with floor-to-ceiling subway tiles and old-fashioned square floor tiles with diamond insets (almost like a real old subway!). She sourced these floor tiles from Mozzaico. You can buy subway tiles from Vintage Hardware. 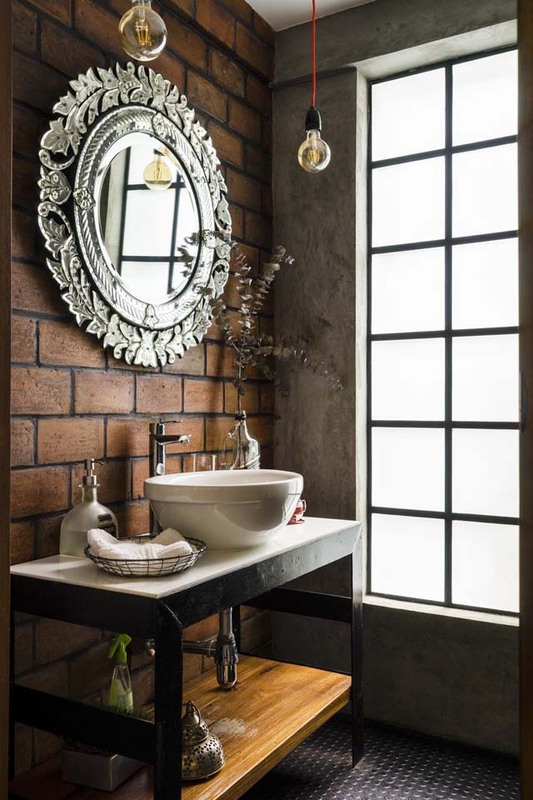 To match the industrial-style subway tiles of the same powder room, you need an industrial-style sink, with a ceramic backsplash and vintage tap. “Since I couldn’t find a utility sink locally, I had to order a Kohler sink from the US,” Jenny shares. Textures, lines, and patterns all come into play in this bathroom. The shower area is defined from the rest of the space with a partial glass shower enclosure, and a change in wall and floor tiles. You can get similar tiles like these at Wilcon Depot. 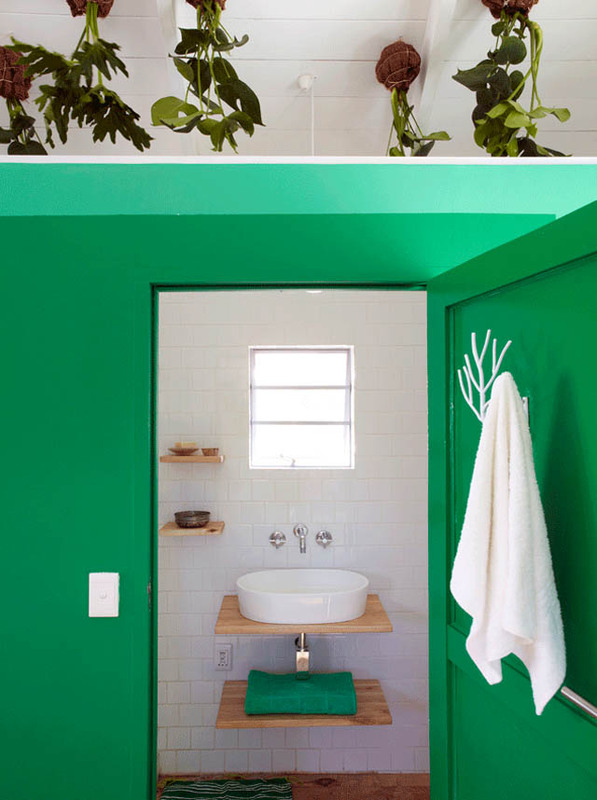 The bathroom in this airy South African vacation home by stylist Doreen de Waal is painted a bright emerald green, which goes well with the hanging air plants above it (the green partition doesn’t go up all the way to the ceiling). 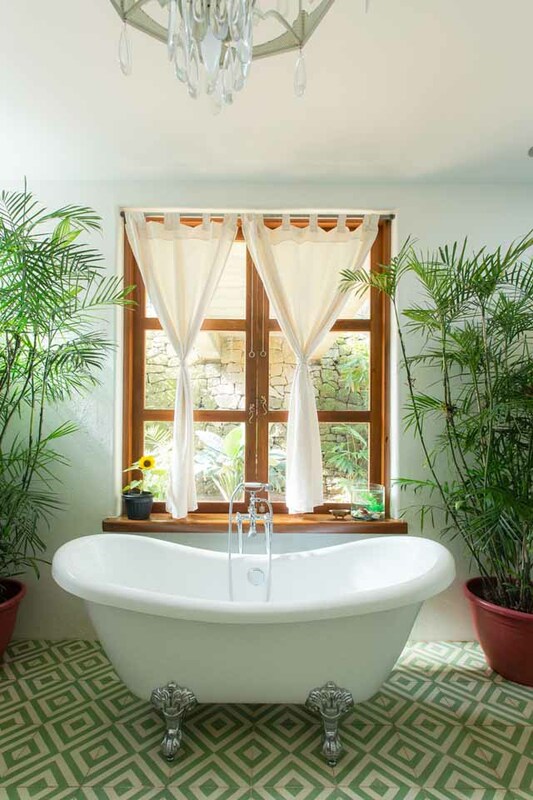 The Gutierrezes’ childrens’ bathrooms in their beautiful Antipolo home have a view of the great outdoors. They bought their clawfoot tub from MC Home Depot. 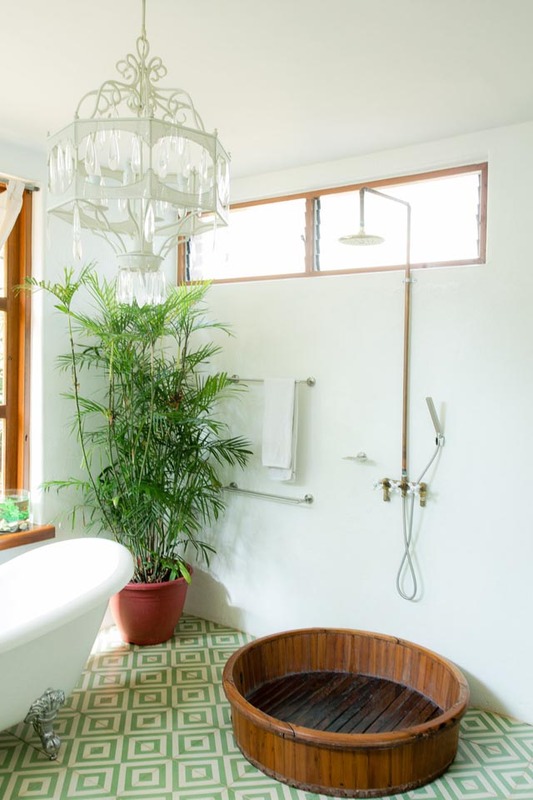 This vintage batya (old-fashioned Filipino washbasin) serves as a quirky and rustic shower tray in the bathroom. Wooden trays like these have to be sealed in a watertight finish before they can be used.